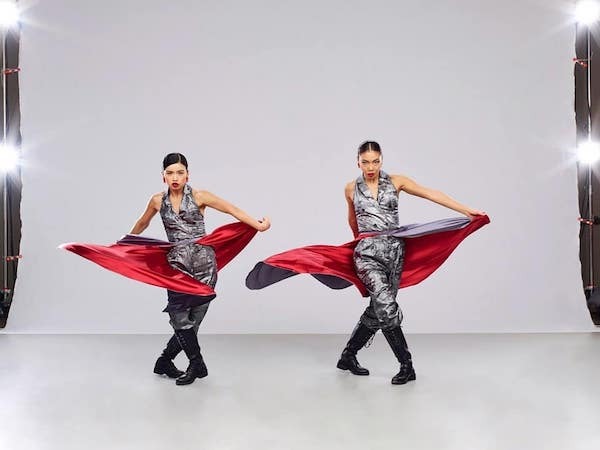 In their uniquely-styled fusion of Latin, street and hip-hop dance, All Ready, a spirited female dance duo from South Korea, has been performing in NBC’s World of Dance competition this season and will return to the Isabella Stewart Gardner Museum in Boston in May as Choreographers-in-Residence to create performances inspired by the museum collection. All Ready – composed of longtime friends Salang Yang, 29, and Hyein Kang, 25, has been competing on NBC’s World of Dance. They made it to the second round of competition and are continuing through the next rounds this season. In May, All Ready returns to the Museum to perform three pieces from their repertoire at the Gardner Gala on Saturday, May 4. They will also give a public workshop at The Dance Complex on Tuesday, April 30. The duo is planning several performances with local dance troupes this fall, likely for Opening Our Doors Day on October 14, at various pop-up performances in the galleries, and for the museum’s fall exhibition, In the Company of Artists: 25 Years of Artists-in-Residence, which opens October 17. Yang and Kang met 13 years ago at a Latin dance school in Seoul and formed All Ready three years ago. They call themselves All Ready because “we’re all ready to perform all kinds of dance,” said Yang, speaking through an interpreter while visiting the museum. At the dance academy, Yang and Kang learned ballroom, modern and Latin dances such as cha cha, rumba, samba, jive, limba and other styles. In 2017, they won first place in the Belasta Street Competition, and a dance video they posted on Facebook has generated 13 million views. While at the museum, Yang and Kang saw one of Isabella Stewart Gardner’s travel albums to Spain and were inspired by the photos. They also enjoyed the newly-renovated Raphael Room. “That had a striking impact,” said Kang, adding they also were impressed by the various types of Western and Eastern art in the collection as well as architecture, the colors and the history, all of which they intend to integrate into performances. “It is an honor to be Choreographers-in-Residence, and we are really excited to be invited,” Kang said. All Ready is only the second group to serve as the museum’s Choreographers-in-Residence, following Peter DiMuro, the executive artistic director of The Dance Complex. As part of a bold initiative to animate the galleries with contemporary performances and integrate dance into exhibitions and programs, the Choreographer-in-Residence role is an extension of the museum’s long-standing Artist-in-Residence program, as well as a continuation of its commitment to multidisciplinary programming and partnerships in keeping with its founder’s vision and legacy. The Isabella Stewart Gardner Museum is located at 25 Evans Way in Boston, MA. It’s open daily from 11a.m. to 5 p.m. and Thursdays until 9 p.m. (It’s closed Tuesdays.) For more information, visit www.gardnermuseum.org. Photo: All Ready for World of Dance. Photo courtesy of Diana McCloy.